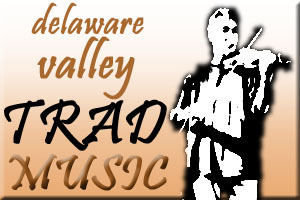 The Delaware Valley - southeastern Pennsylvania, Delaware and southern New Jersey - has a lot of good homegrown musical talent. Some of these performers are shown here. If you know of any other individuals or groups who play traditional music here, send me a couple of photos and a little text, and I'll post them here. Welcome to Smitty's Kitchen! 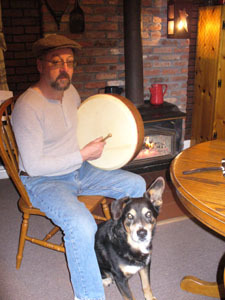 Our bandmates have spent many hours in the Down Jersey farmhouse kitchen of Cynthia and Steve (Smitty) Smith, sharing food, drink, craic and music. You can visit here for music samples, news, info, photos, etc. 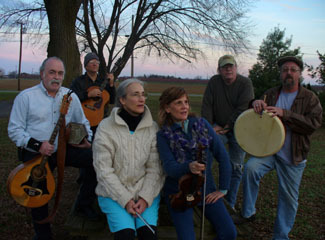 Our music features traditional celtic jigs, reels, hornpipes, waltzes and more, with a fresh, unique style, using traditional instruments: bodhran, bones, whistles, flute, concertina, bouzoukis, mandolin, fiddle. Add Bob Bender's innovative guitar and Cynthia Smith's piano arrangements and we give you some rich, textured sound. It is our pleasure to bring this music to you! Feel free to use the contact page on our website.